For many, the beauty of a Gucci necklace is its ability t be able to combine with all kinds of outfits, whilst still achieving maximum standout style. This elegant necklace executed on a delicate chain features a striking heart pendant engraved with the “Gucci” brand name and the accompanying “Made In Italy” lettering. Heart jewellery is incredibly versatile and can be mixed and matched with many other designs for a look of enduring style. Founded in Florence, Italy in 1921 by Guccio Gucci, Gucci has been a household name for decades. As a brand, Gucci represents world class luxury, Italian heritage, & modern style. With Alessandro Michele as Creative Director, the Gucci Group is redefining what luxury means in the 21st century. In 1972, Gucci became one of the first fashion Houses to branch into timepieces. 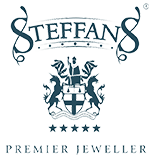 In 1997, the brand introduced a Silver Jewellery line, followed by Fine Jewellery & High Jewellery collections. Further reinforcing Gucci’s reputation as an influential & progressive fashion brand, the new & relevant vision injected by Alessandro Michele fully embraces the fashion codes, innovation, & attitude of Gucci, enhancing its status as one of the world’s most desirable luxury fashion brands & a definitive statement of contemporary coolness. As a company, Gucci holds itself to a high standard of sustainable development. Gucci strives to be a progressive leader in responsible business standards emphasising human rights, social & environmental responsibility beyond compliance with the law, & eco-friendly practices. The Gucci Group has a longstanding commitment to preserving & promoting the arts & solidarity initiatives. All Gucci items are packaged in branded packaging and come with a Gucci Care Booklet.